Adding room dividers to a room increase the flexibility to use the space in various ways. The dividers can be rearranged to separate the space as needed. 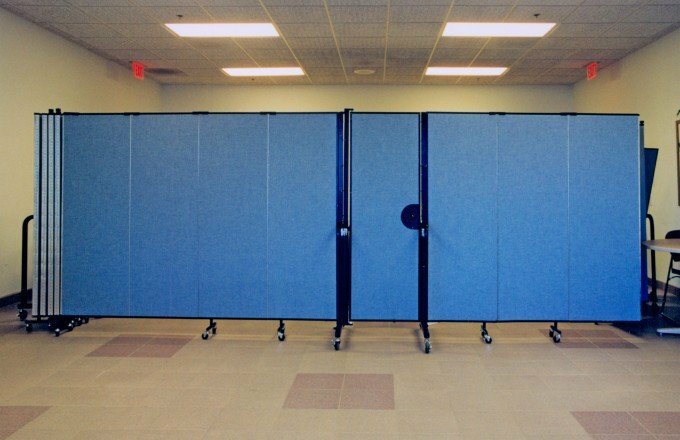 Screenflex offers an optional self-closing door to any room divider to ease the ability to walk from one space to another. For safety, the 24″ door opens in either direction. Add a 10″x10″ window to the door for visibility into the room.